The best candidate screening tool ever! 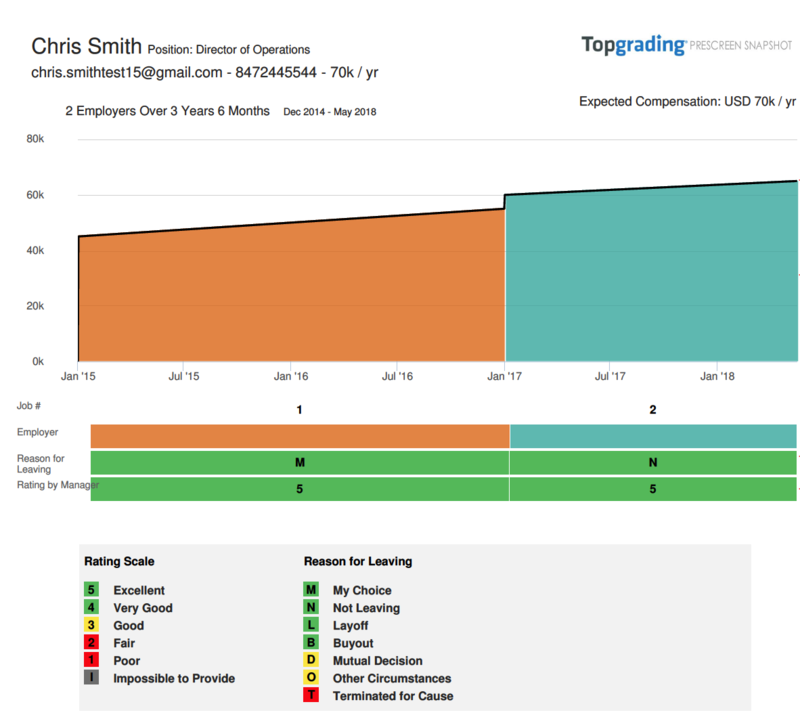 The Prescreen Snapshot gives you details that help you look for the top performers. Look for steady growth in compensation. Identify a candidate who switches jobs frequently. Look for very good and excellent ratings. Identify if a candidate has ever been terminated for cause. Get accurate & insightful info to screen candidates. saving you lots of time. as you need. Add more candidates at any time. As you know too many resumes have deliberate falsehoods. To fix this, we use a truth motivator: candidates are told upfront that they will arrange reference calls with prior bosses. This inspires them to tell the truth in their application. Before talking with candidates, see their salary history, how bosses would rate their performance, and the real reasons for changing jobs. You can focus your time on the top candidates and save 30% in hiring time. You’re only charged for candidates that start their invitation. The phone screen guide makes your first interview highly successful.